This is a guest post from Rob Williams of Expansys. 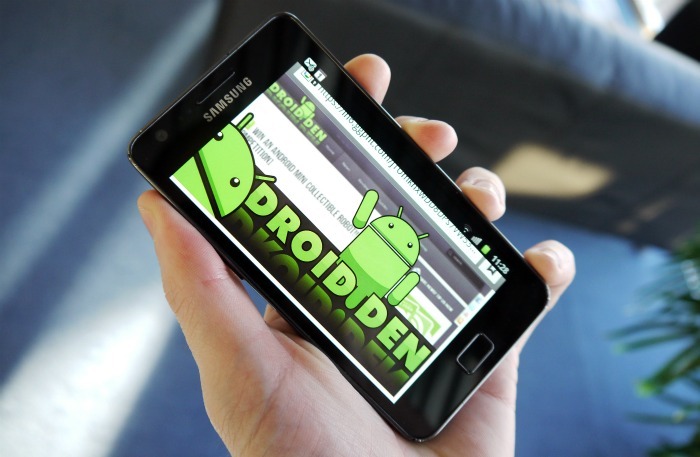 He gives us an insight into the top 5 selling android phones for 2011. There's a few surprises in there, as well as one not so surprising entry! Thereâ€™s no doubt 2011 has been a fantastic year for Android. Andy Rubin, head honcho at Android and itâ€™s founder, recently revealed that there are now over an incredible 700,000 Android device activations every day, and at Expansys weâ€™ve seen record sales figures for the system. Literally the biggest phone on the market, the Galaxy Note was one of the most pleasant surprises of 2011. Is it a big phone, or a small tablet you can make calls on? Samsung marketed it as being both, an awesome piece of Android powered tech that can replace you phone, tablet, games console, PDA and more. And itâ€™s clear that loads of Android fans understood itâ€™s genre-defying purpose straight away making the Note, one of the most inventive products of the year, also one of the biggest sellers. Although it was only released at the end of 2011 the latest Google/Samsung Nexus collaboration was a huge seller. The first handset with the hugely upgraded Android 4.0 (Ice Cream Sandwich) operating system, the Galaxy Nexus was hugely anticipated and is arguably the finest Android phone available. With a huge 4.65 screen, plenty of processing power as well as the (so far exclusive) new Android software on board, the Galaxy Nexusâ€™ success is probably no surprise. Now this is one phone that had plenty of pre-release hype; an Android 2.3 (Gingerbread) phone with sliding out official PlayStation controls, whatâ€™s not to get excited about? After the initial surge the Xperia Playâ€™s high price point hurt itâ€™s sales, but once Sony Ericsson re-positioned it as a mid-level device (which itâ€™s specs fit into) this all changed. The Xperia Playâ€™s mix of decent Android performance and full-on PlayStation gaming on the go proved a winning combination hard to resist. Here is an entry into out top-selling list that may well surprise a few of you. Acer isnâ€™t known for itâ€™s phones, and the Liquid Metal is an older handset. The Liquid Metal did however drop substantially in price during the year, and found success as a bargain older device. Suddenly you could get better specs than many of the latest â€˜entry-levelâ€™ Android phones for less money, albeit in an older chassis. The Liquid Metal found itâ€™s niche as an introduction to the joys of Android without a big layout, and once it was updated to Android 2.3 late on in the year it shifted even more units. Winner of countless end-of-year awards, Samsungâ€™s Galaxy S II not only won out as the premium Android phone of choice (at least until the Galaxy Nexusâ€™ release), but was the biggest selling Android handset, and indeed best-selling phone of the year overall, on Expansys.com. Gorgeous looking, and simply remarkably svelte and light, the S II wowed us from launch, and continues to sell well even now, displaying an almost iPhone like life-cycle that will last until itâ€™s successor is announced, and possibly beyond as a budget device. A fantastic phone in every way from processing power to a gorgeous screen, the Galaxy S II has captured the publicâ€™s imagination, and cash, like no Android phone before. So, there we have it, a quick rundown of what Android phones enjoyed the most success in 2011. Did your favourite phone of the year make the list, or has everyone been missing out on the best Android beauty? Let us know what you think!